This fantastic patio home located in the pristine Park Centre community features 2 bedrooms plus a den. 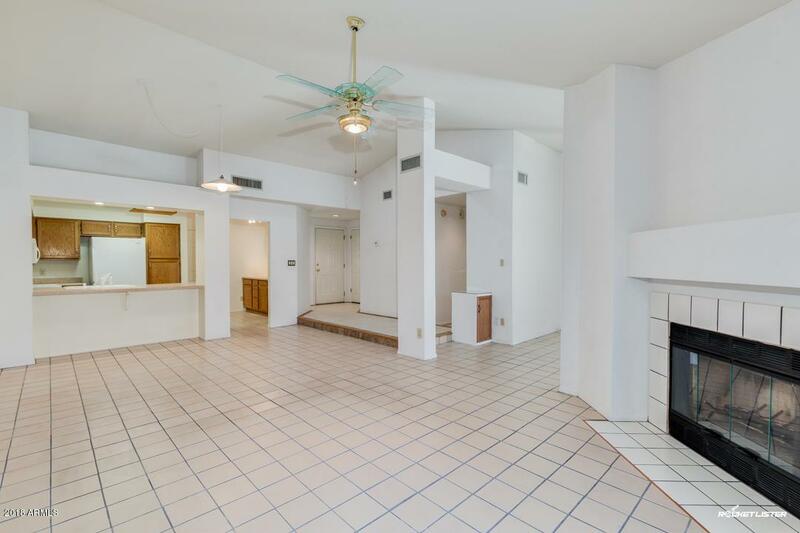 Inside the open floor plan you'll find vaulted ceilings, generous living space with a fireplace... perfect for entertaining. 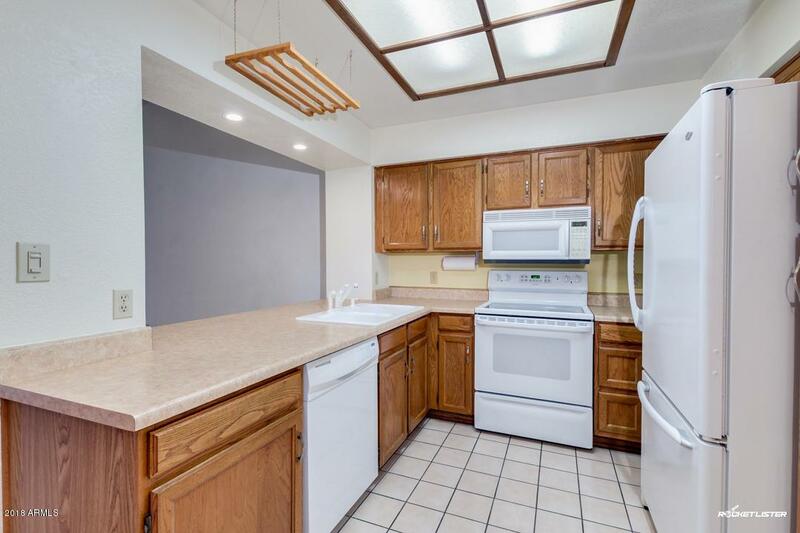 Kitchen overlooks the family room & has a whole wall of extra counter & cabinets, pantry, and breakfast bar. Lovely master bedroom comprised of walk-in closet and full bath with dual sinks. Private, gated & expanded front patio with faux flagstone & fireplace. 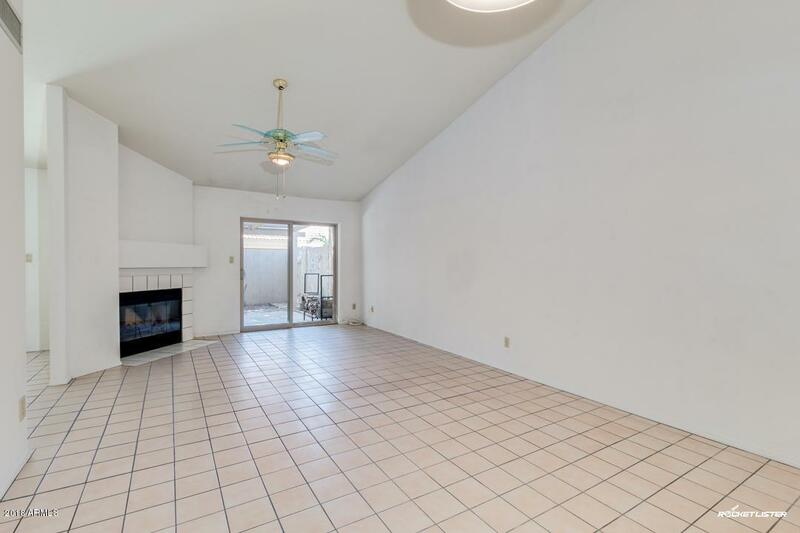 Large covered back patio area. Recently replaced windows, storm door on front with windows & screen plus 2 solar tubes. Short walk to community pool. 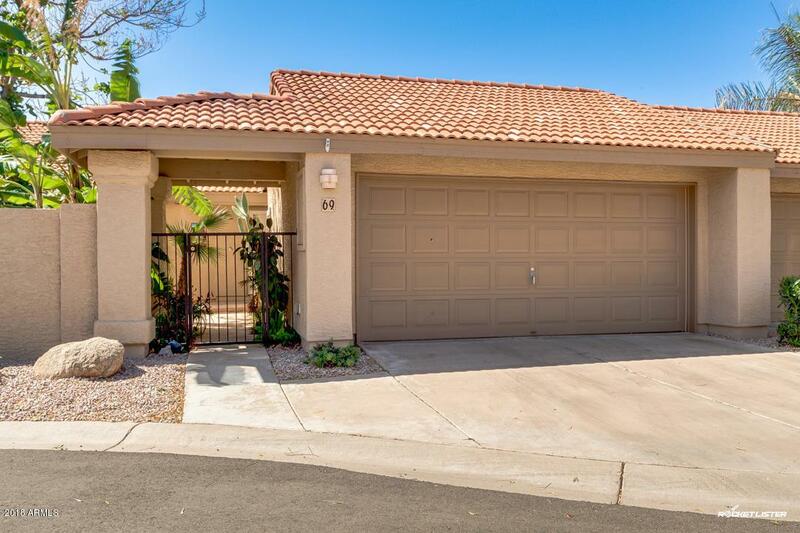 Located close to freeways, spring training, shopping & entertainment. Hurry, this one won't last! Cross Street Brown Rd. & Mesa Dr.